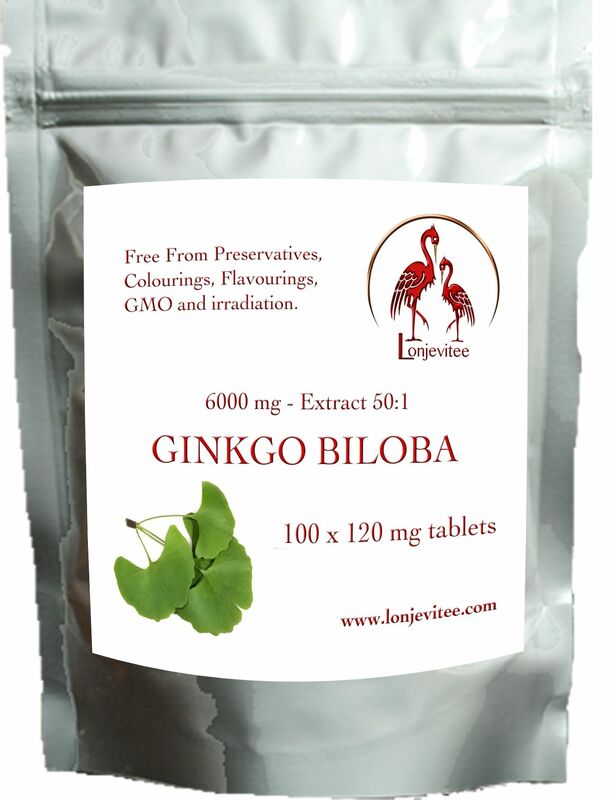 Ginkgo Biloba 120mg tablets - Standardised extract 50:1 from 6000mg fresh leaves. Ginkgo Biloba leaves are used in natural medicines in Asia. It is known to improve the circulation, especially in the brain and to boost cognitive functions. This especially good for those with memory and concentration problems. The many benefits of taking Ginkgo as a food supplement are too numerous to list here. Serving suggestion: Take one, once or twice a day with food. There is no established EC RDA for Ginkgo Biloba.